"Winds of Change in Pharmacy!" Thank you to the North Suburban Pharmacists Association for sponsoring this year's head shots. Follow THIS LINK to retrieve your photo. Handouts are now available! Click Here to access the handouts. This will take you to a flyer about the event. On the upper left side will be a tab labeled MATERIALS. Click the Materials tab to access the handouts. The tab above Materials says Registration. That tab is for registering for the CPE. There is no additional charge. Select learner type, fill in the requested information (email, NABP, etc). The next screen you come to will say Learning Materials at the top. Unless you would like to print some of the handouts, scroll to the bottom and click next. This will take you to the sessions page. It will list sessions by day with keynote at the top. Next to the sessions you attended, click the box that says code required and enter the code for each course. When you have entered them all, scroll down and click next. This will take you to the surveys for each course. Please complete them all. When it is done successfully, credit is automatically uploaded. On your phone? 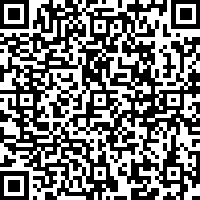 Use your tablet to scan this QR code and you can easily access the handouts. PLEASE NOTE: When you begin to claim credits, Lecture Panda will email you with DIFFERENT link to use if you need to start and stop the claiming of credit. Once you are in, you will not use the link above again. Click Here to access the handouts. This will take you to a flyer about the event. On the upper left side will be a tab labeled MATERIALS. Click the Materials tab to access the handouts. The tab above Materials says Registration. That tab is for registering for the CPE. There is no additional charge. You may elect to start that now, or wait until you are ready to start entering your course codes. On your phone? Use your tablet to scan this QR code and you can easily access the handouts. You will use this same link to claim your Conference CE credits. New for 2018! 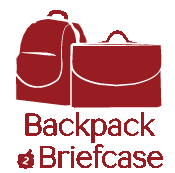 Backpack to Briefcase is a new series designed with Students and New Practitioners in mind. The IPhA Foundation is hosting an evening of String Art on Thursday, September 27th. This FUN-draiser event is all about relaxing, networking and letting your creative side out! Check out the great options you can make HERE. This year, IPhA is offering the opportunity for you to get CPR Certification on Sunday, September 30th. Part of the course will consist of online study that must be completed prior to attendance at the Skills Workshop on Sunday. Additional Fees Apply. Social Media Don't forget to tag us on social media! Are you a new practitioner?